Dave Smith Mopho Keyboard - semi-weighted keyboard action with velocity and aftertouch, 100% analogue signal path, two oscillators, one classic Curtis switchable lo-pass filter (2 or 4-pole), analog VCAs, three envelope generators (ADSR plus delay), two sub-octave generators (one octave down and two octaves down), external audio input with feedback, four assignable performance controls per program, gated 16x4 step sequencer (one sequence per program), arpeggiator, 384x programs, MIDI out/thru, audio input/output, headphone output. Free downloadable software editor (Mac OS and Windows). 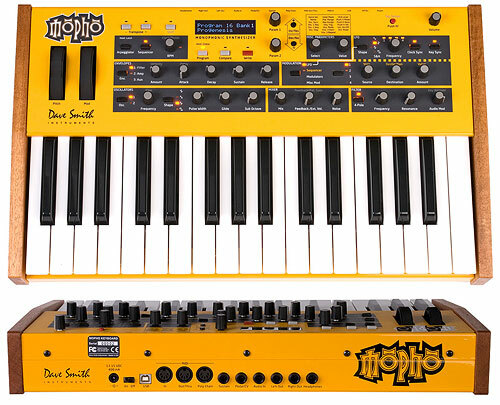 The Mopho Keyboard is a compact and affordable�but powerful�monophonic analog synthesizer. The voice architecture is similar to a single voice of the Prophet '08, but with a couple of twists to distinguish it from its award-winning sibling. We have added two sub-octave generators�one per oscillator�for additional girth and crushing basses. It also has an audio input that lets you process external audio and mix Mopho's own audio output back in pre-filter for feedback effects that can range from subtle distortion to extreme skronk. 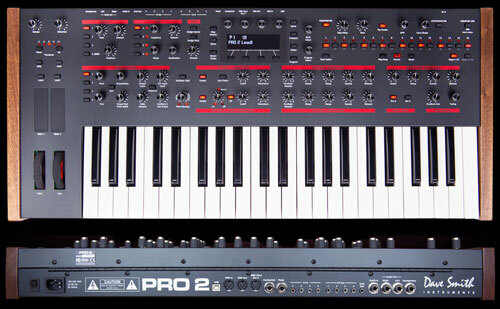 It features the same semi-weighted keyboard action as the Prophet. 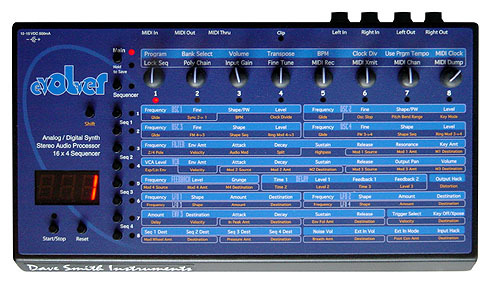 The Mopho Keyboard�s voice architecture features two oscillators, two sub-octave generators, selectable 2- or 4-pole low-pass filter, feedback, and a ton of modulation options, including three envelope generators, four LFOs, and a 16 x 4 step sequencer. 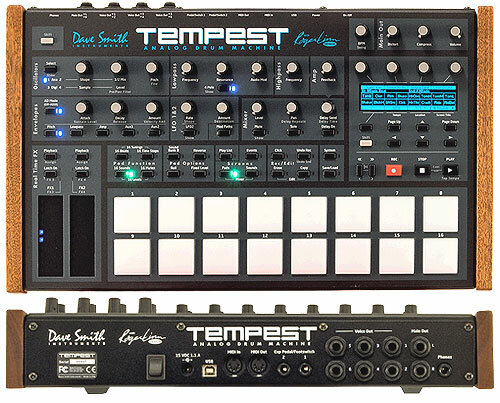 It has a full-sized, semi-weighted, 32-note keyboard with velocity and aftertouch and full-sized pitch and modulation wheels. The Poly Chain feature enables expanded polyphony using other DSI synths. 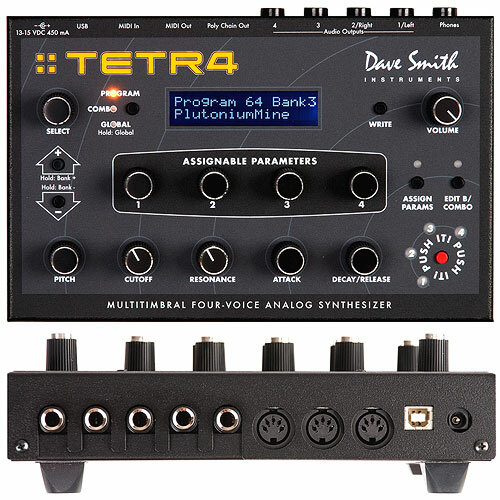 For example, combining a Mopho Keyboard with a Tetra results in a very portable five-voice poly synth. 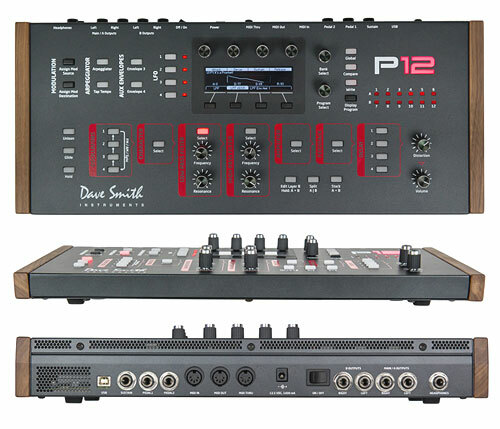 Other features include USB and the ability to process external audio through Mopho�s filter and VCA. The Mopho Keyboard delivers classic analog sound in a remarkably compact package and�perhaps best of all�it's affordable! Affordable, fully programmable mono synth with a 100% analog signal path. Classic, real analog sound�including legendary Curtis analog low-pass filter. Full-sized keys with velocity and aftertouch. Measures approximately 18.65" L x 11.1" W x 3.6" H (47.4 cm x 28.2 cm x 9.1 cm) and weighs under 10 pounds (~4.5 kg).